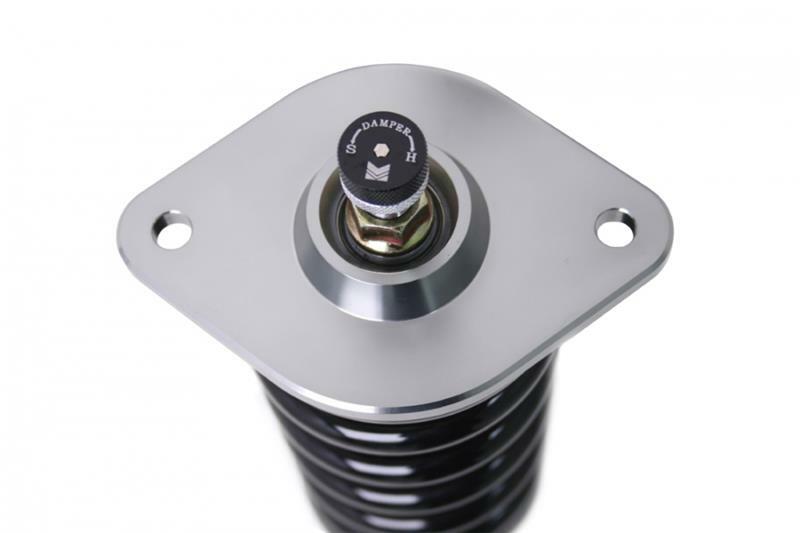 For those who demand the absolute most from their vehicle’s handling and performance, Megan Racing has developed a new series of fully adjustable Coil-Over Damper kits for limited applications. The new Track-Series of suspension surely stands out above the rest with the dependability and performance that Megan Racing suspension products are known for. With a gunmetal finish and coated springs for durability, the Megan Racing Track-Series dampers obviously mean business at first appearance. But beyond their aggressive appearance stands the true essence of these Dampers. 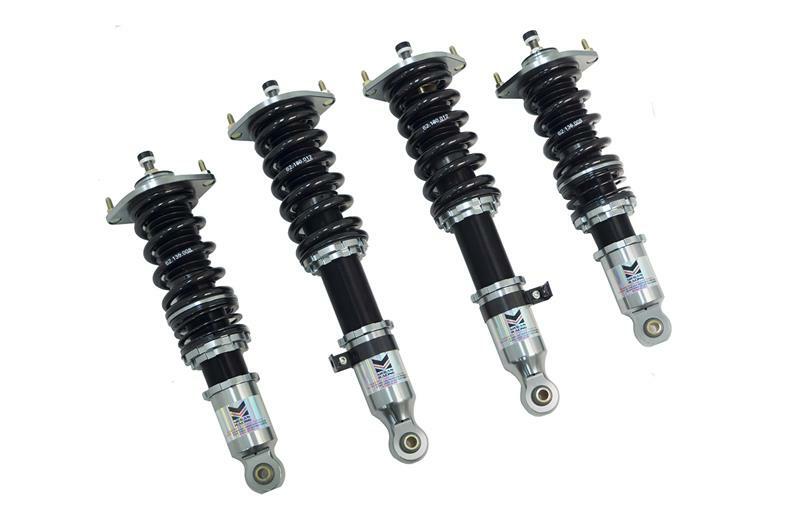 The increased spring rates, stiffer shock setting and heavy-duty piston construction all add up to a suspension system that outperforms most suspensions that retail for almost twice the price. Set as an option for those who demand higher spring rates the adjustability is similar to that of our Street-Series Damper Kits. The ride height, camber and spring pre-load capabilities remain the same and maintain the ease of adjustment as before. 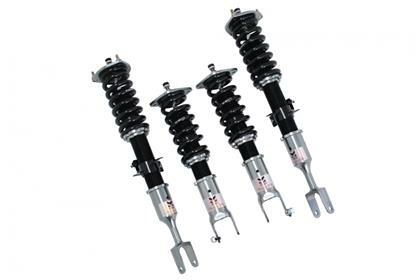 Note: Although the spring rates are similar to that of the “Street Series” kit, the construction of the Damper itself is constructed in a different manner for a stiffer ride and is tuned for extreme use where comfort is compromised in favor of performance. All coilover damper kits come with 1 year manufacture-defect warranty. Includes (4) 19mm nuts for perfect fitment.